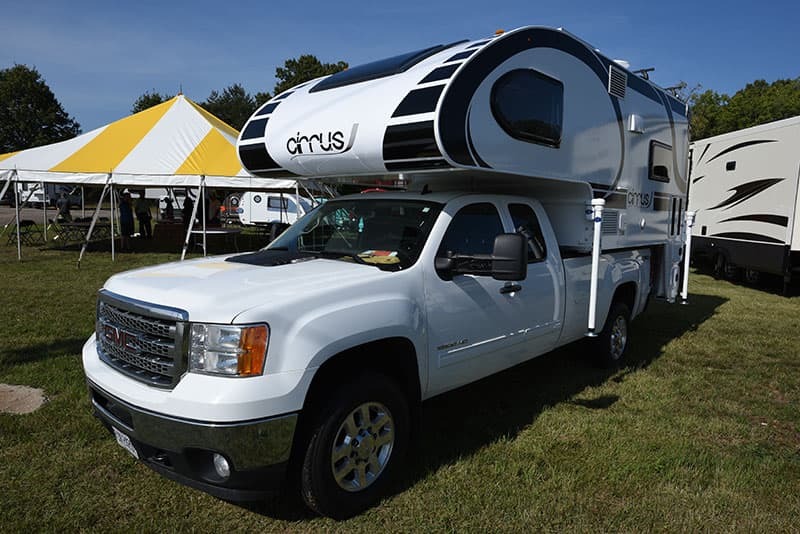 Truck Camper Magazine reviews a 2018 Cirrus 920, a hard side, non-slide, wet bath, long bed truck camper. Has nuCamp pushed too far with their modern Cirrus Camper aesthetic and cutting-edge technology? Or are they inventing the future of camper design? When nuCamp rolled out the first Cirrus 920 prototype in December of 2015, the nuCamp team wasn’t satisfied. 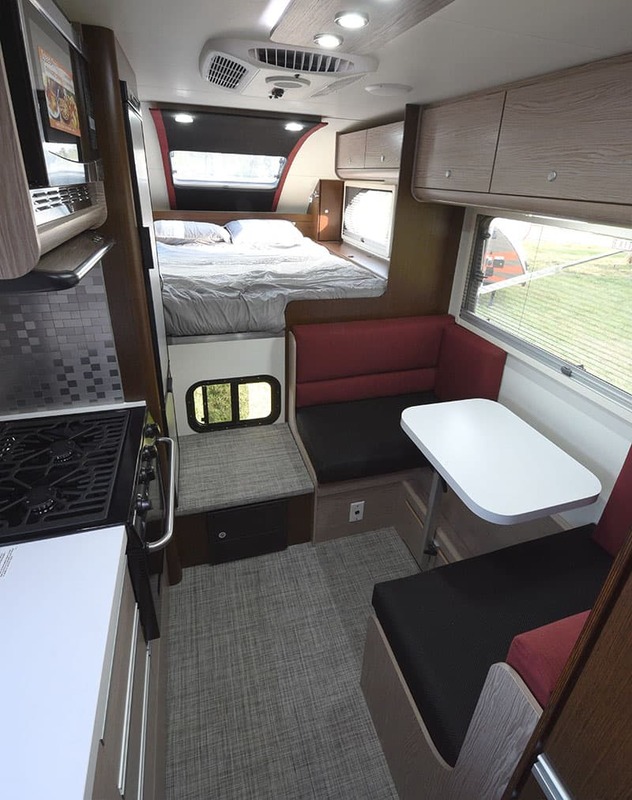 For months, nuCamp’s dealers and customers had peppered the Sugarcreek, Ohio manufacturer for a long bed version of their popular Cirrus 820. nuCamp delivered, collected feedback, and then went back to the drawing board. They could do even better. 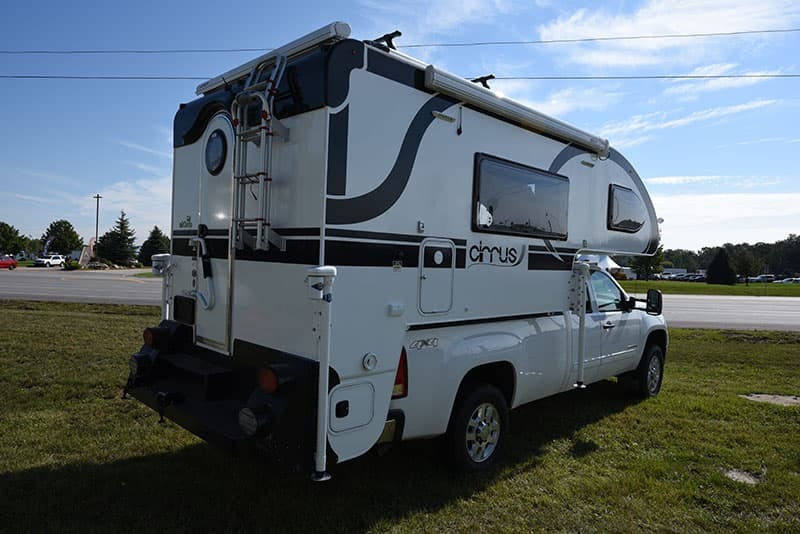 Six months later, a heavily evolved Cirrus 920 debuted in Truck Camper Magazine. Scott Hubble, CEO of nuCamp, answered the question on everyone’s mind; what was going on with the 920? 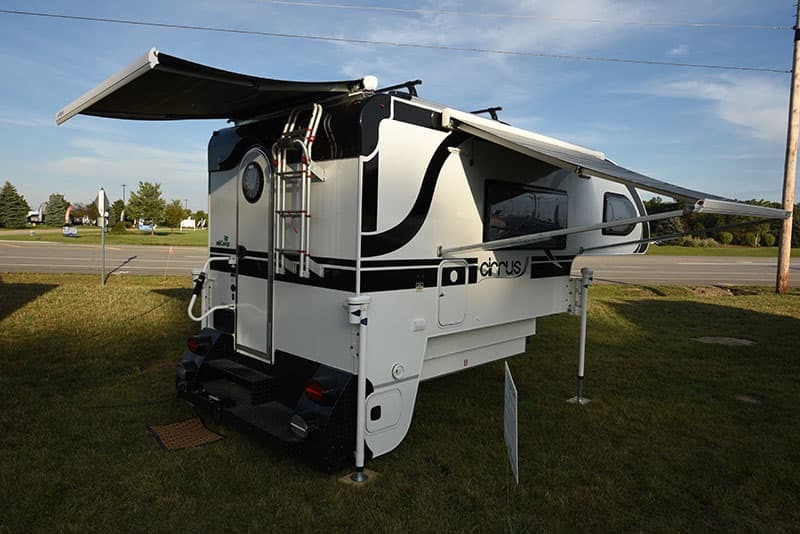 Be sure to also check out nuCamp RV’s response to this 920 review. The most obvious change was the redesigned in-house cabinetry. Where the 820 had sourced its cabinetry from Italy, nuCamp brought the 920 cabinetry production in-house. Built by Amish craftsman aided by CNC-machined precision, quality control was further improved, and responsive design changes were now possible. Freed of six-month delivery lead times mandated by the Italian cabinetry source, the nuCamp team reimagined the 920 interior cabinetry stem to stern. Among other cabinetry changes, the 920 now featured a slide-out pantry, multiple drawers in the kitchen and dinette, and a centrally-mounted 24-inch HDTV media center. The forward-thinking N3141 refrigerator and XC200 cooktop join the Alde hydronic heating system, seamless aluminum roof, all-aluminum, composite, and fully-laminated (wood-free) structure, Froli sleep system, and other forward-thinking materials and components first introduced with the Cirrus 800 and refined with the Cirrus 820. 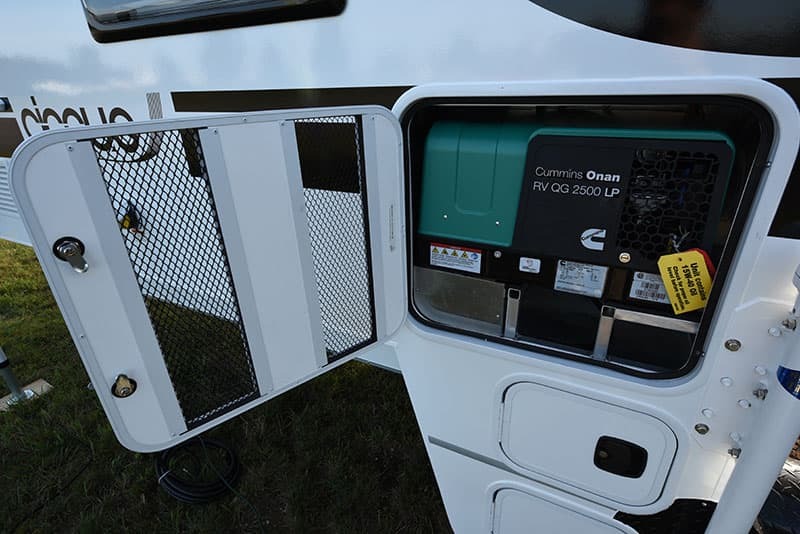 On the exterior, the 920 gets a built-in generator option. After consulting with their dealer network, the nuCamp team selected the Cummins Onan QG 2500 LP for its reported quality and reliability. Just when we thought we had exhausted the 920 news, Scott and Allen revealed that the 920 comes standard with two 6-volt AGM batteries, a new wet bath compartment, a new convection microwave, and an optional Lagun table system. The irony of all these 920 advancements is the obvious question they raise for the 820. When will we see the 920 updates added to the 820? Just as the fervor over the missing 920 finally settles down, the 820 speculations begin. Here we go again.